We have all seen the young mother standing on the side of the road with a cardboard sign that reads, “Please help – I have kids. God bless.” Occasionally we will even see them with a sweet little one by their side. However, childhood hunger often isn’t as apparent as this. Hunger trickles down from unemployed and low income individuals and impacts children throughout our entire community. Sensitive to the vulnerability of these children and the long-term effects of exposure to malnutrition, the One Initiative is taking a stance against childhood hunger alongside local food banks. For C.R. England and England Logistics, finding ways to give back to our community has always been a top priority. We have long supported local food banks, with funding for Utah Food Bank’s SLC Mobile Food Pantry provided by the two companies. 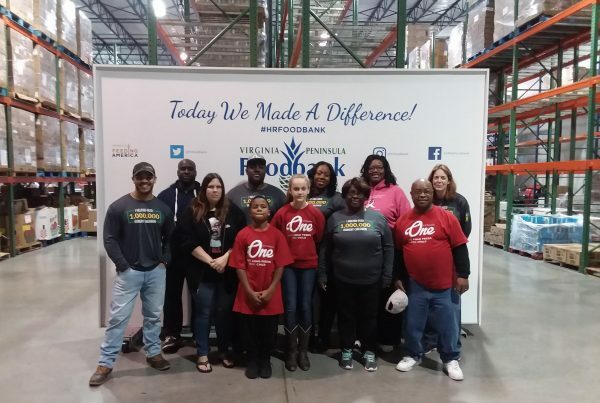 Employees volunteer for a few hours each month to distribute food that has been collected to families in need. 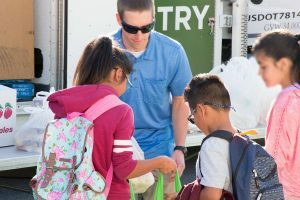 The organized programs offered through the Utah Food Bank specific to children in need, such as the Kids Café and the Mobile Food Pantry, directly support our mission to decrease childhood hunger. By uniting our strengths, we hope to accomplish our goal of providing one million meals each year by 2020 more efficiently. During the holiday season, both C.R. 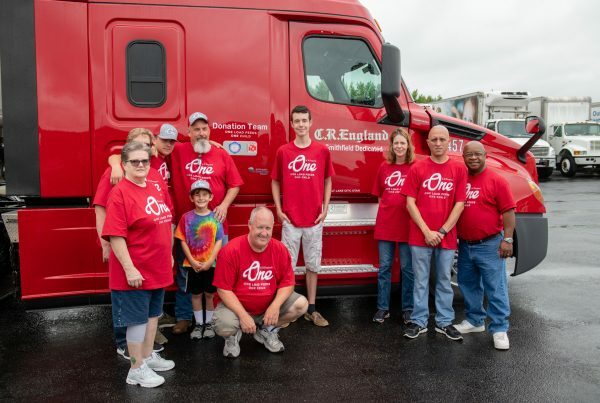 England and England Logistics hold charity events to raise money for various charitable organizations. The events include a live auction, pictures with Santa, a raffle hosted by Santa, bake sales and other various activities. Donations collected from these events will now be donated to local food banks as part of the One Initiative. The money will be utilized for programs that most need it, with each dollar providing a certain number of meals. 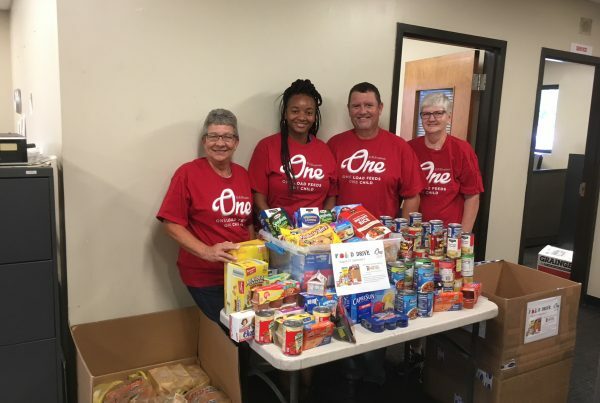 While we have consistently worked with Utah Food Bank, we aim to join our efforts from the One Initiative with food banks where each of our offices are located to ensure a complete community outreach. We have ensured that the donated funds will go directly towards supporting their programs that combat childhood hunger. Our hope for utilizing food bank programs throughout the country is to unite as one team for one cause and battle childhood hunger on all fronts. Goals are more easily achieved when backed by a strong team. The common phrase, “It takes a village to raise a child,” has never been more relevant. We plan to serve each hungry child wherever they may be. 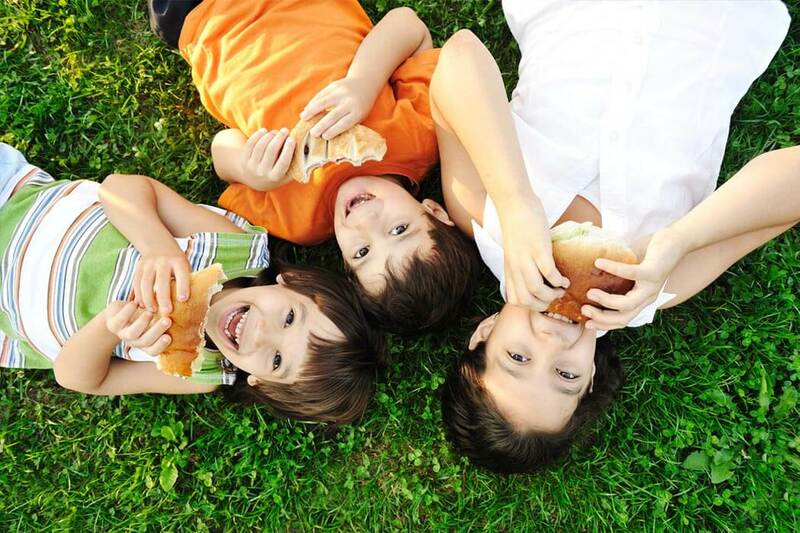 By enlisting the help of each employee and various food banks, we are confident that fewer children will go hungry.